Mandira Tech Guwahati, The Only Hard Disk Repair Service Center. This is the only and first time in North East INDIA a Hard Disk repairing center in Guwahati along with Data Recovery Service. Our repairing center is well equipped with Hard Disk repairing tools and technology. We repair all type and all brand of Hard Disk. We are only Data Recovery Service Provider in North East India. If the Hard Disk is not detecting, unable to format, unable to copy, unable to create Partitions, slower etc. send the Hard Disk to our workshop and we shall make it normal and usable storage media. Repairing is possible if HDA (Hard Disk Assembly) is not damaged or tempered. Send your Hard Disk or share your trouble with us here or Email to customercare@mandiratech.com or visit personally with your defective drive. Before shipping the drive you must read the Packaging Instruction carefully so that your drive could reach to our address safe and secure. Please don't courier the hard disk if the seal and the labels are tempered and all ready played with the PCB, Platters, HSA, HDA(Hard Disk Assembly), External Casing is opened etc. Physically burnt, broken and damaged are not accepted for repairing. 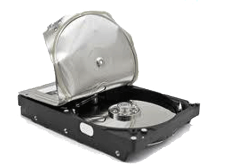 We provide Hard Disk exchange service: Give us the defective Hard disk and get a new and seal pack Hard Disk. In this regard you must read and follow our Terms and Conditions carefully. Exchange Service is not applicable on broken, damaged, scratched, opened, tempered any seal or level, not older than 3 years from manufacturing Date and not an OEM product. Minimum 15 days required for the verification from the date of receiving. Note:The Hard Disk may be rejected from the Exchange Service and we will not be answerable for this. Have you deleted your most important data or formatted your Hard Disk/ DV/ Memory Card/ Pen drive/ Tape Drive/ by mistake or for any reason? or the media is not detecting, clicking noise. Don't worry contact us and recover the lost data in our Clean Room Data Recovery Lab. N.B. : For more detail please visit our office personally or mail us with detail or call us. Hard disk repairing, harddisk repairing, Hard disk repairing in guwahati, harddisk repairing in guwahati, Hard Disk Servicing center in guwahati, Hard Disk Service center, Seagate Service center Guwahati, WD Service center Guwahati, Toshiba Service center Guwahati, Hitachi Service center Guwahati, Western Digital Service center Guwahati, Samsung Hard disk Service center Guwahati, Adata Service center Guwahati, Lenovo hard disk Service center Guwahati.